Making it your target not to pass through the College..
Making it your target not to pass through the College alone but letting the College pass through you is a step closer to becoming a good product of the College. Therefore work hard in silence and let success make the noise. One of the greatest ways of ensuring that you are on top of your game with the principle of distance learning is getting information. Current students are privileged to have various platforms to access information at Jackson College of Education. You can download the Student Handbook by clicking the button below. Students are advised to apply for loans from the Student Loan Trust Fund (SLTF) if they need financial support. In view of this provision, no one should write to the Head Office requesting an extension. Any student who cannot meet the deadline for paying fees should defer accordingly. 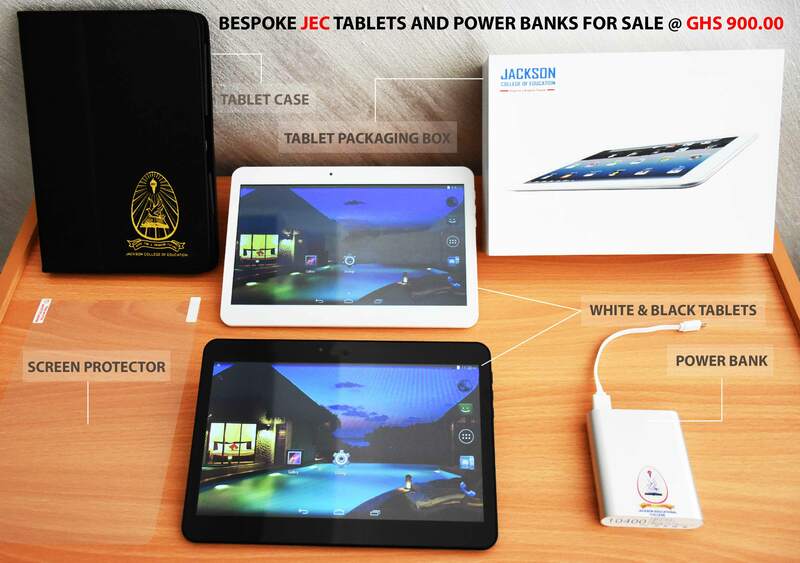 To enhance access to our E-Library and the utilization of our Online Student Portal, the College has in stock bespoke JEC tablet computers (10”) for sale to its students at a subsidised price of GHS 900.00. Interested students should place their orders on the Student Portal at the Products and Services menu and make payment as prescribed on the generated invoice. Limited stock, rush for yours now!!! MyJEC360 is a new online platform for students to access information anytime and anywhere once they are connected to the Internet. You can read all the important notices, print your admission letter, register for semester courses, check school fees arrears, check and print your examination results, register trailed courses for resit exams, view and download vital resources such as face-to-face, quiz and examination timetables, assignment questions, academic calendar, learning guide, etc. This platform also gives students access to important products and services critical to their academic life in the College. From the main menus, click on ‘Products and Services’ and select ‘Add New’. Enter your phone number on which the Office can contact you with regards to your purchase/application. Where applicable, select where you would like to collect the items. That is, either at the JEC Head Office (during working hours only) or at the Learning Centre (during face-to-face only). Click the ‘Checkout’ button to submit the products and services in your cart. Print the generated invoice and make payment using the Invoice Number as the payment/reference ID at any branch of ADB, CAL Bank, ECOBANK, GCB Bank, Republic Bank. With Jackson College of Education, life got even better. You can now access the Student’s Loan Trust Fund (SLTF), enrol for National Service and have the chance to be employed as a professional teacher. You can also be gainfully employed even as you study. The Diploma certificate awarded can also be used to access GES appointments or to do further studies for a degree with other universities. The Student’s Loan Trust Fund (SLTF) is a government initiative to provide financial resources to enhance tertiary education by supporting students. Luckily for JEC students, the institution has been fully integrated with the Student’s Loan Trust Fund and JEC students have been given equal chances as students from the regular colleges of education to apply for the loan. This stems from the fact that JEC is fully accredited by the National Accreditation Board and runs a Diploma in Basic Education programme which is also fully accredited. This gives our students a rare opportunity over students of many other private institutions. Loan applications are usually opened in the month of September and end in July of the following year. The loan facility is given each academic year and as such students whose applications are approved in the first year can enjoy the facility three times. Students whose loans are granted will not have to apply again the following year but will receive the loan amount each year till they complete the course. The Student’s Loan Trust Fund will give you two clear years after graduation before you will be required to repay the loan. The JEC SRC presidents are trained to serve as Loan Ambassadors at their respective centres. The SRC presidents, as well as Staff Liaison Officers from the Head Office, are to guide students to access the Student’s Loan Trust Fund. Students of Jackson College of Education have the opportunity to enrol in the National Service Scheme after completing their 3-year programme. Third year (level 300). 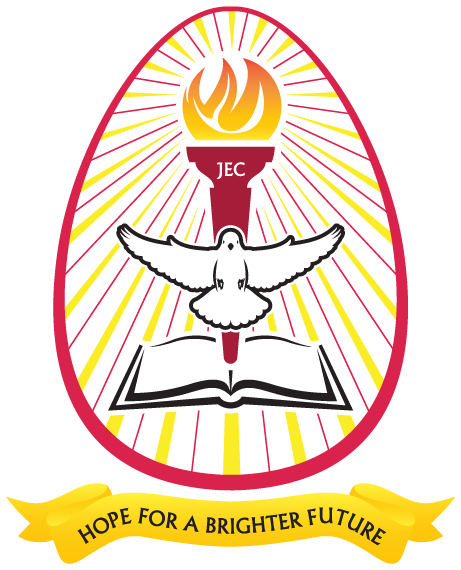 JEC sends all third-year students’ details to the National Service Secretariat every year for onward processing. Students are to use their exam numbers to fetch their PIN numbers on the NSS website. Pay a specified amount at selected banks. And then register at the National Service Secretariat with their payment slips for posting. JEC Students must complete their programme before starting their service after registering at the District to secure their posting. Students already incorporated in Ghana Education Service can still enrol in the National Service Scheme but cannot take the allowance as the Government is already paying them. Students who have not been posted must report at the Regional National Service Secretariat for immediate action to be taken.